A new light shines on the Alola region! Take on the role of a Pokémon Trainer and uncover new tales, and unravel the mystery behind the two forms reminiscent of the Legendary Pokémon. With new story additions and features this earns Pokémon Ultra Sun and Pokémon Ultra Moon the name "Ultra!" Another adventure is about to begin! New Pokémon forms have been discovered in the Alola region in Pokémon Ultra Sun and Pokémon Ultra Moon! 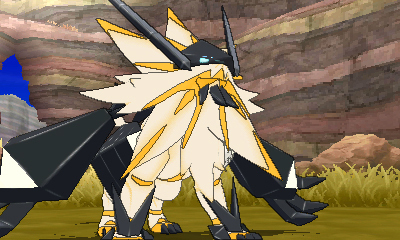 These forms are reminiscent of the Legendary Pokémon Solgaleo, Lunala, and Necrozma, first revealed in Pokémon Sun and Pokémon Moon. Head out on an epic journey as you solve the mystery behind these fascinating Pokémon! In this expanded adventure, get ready to explore more of the Alola region, catch more amazing Pokémon, and battle more formidable foes in Pokémon Ultra Sun and Pokémon Ultra Moon. 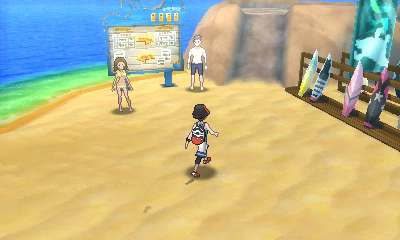 New Z-Moves: In Pokémon Sun and Pokémon Moon, the main character wears a Z-Ring in order to use Z-Moves. In Pokémon Ultra Sun and Pokémon Ultra Moon, the main character will put on a Z-Power Ring, which can use even more varieties of Z-Moves than the Z-Ring! 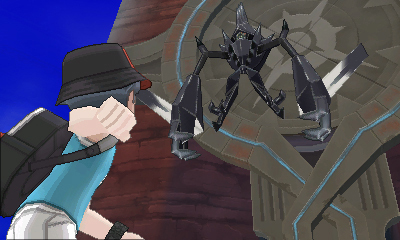 And the games also feature new Z-Moves for certain Pokémon. What’s a Z-Move? Z-Moves are moves of tremendous power - so powerful that they can only be used once per battle. 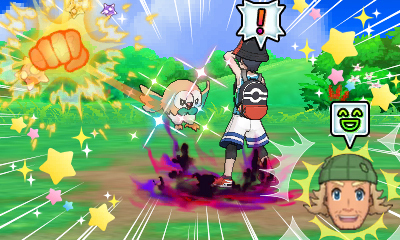 When a Trainer and their Pokémon combine the force of their wills, the full strength of their effort bursts forth in an epic Z-Move! All Pokémon can use Z-Moves. To use a Z-Move, you must have two key items: a Z-Power Ring and a Z-Crystal. © 2017 Pokémon. ©1995–2017 Nintendo / Creatures Inc. / GAME FREAK inc. Pokémon and Nintendo 3DS are trademarks of Nintendo.